Emerald Steel | Why Emerald? You are here: Home / Why Emerald? Remember that finding shops to handle your tough jobs means finding a team that will work at making products function correctly in a cost effective manner. Make sure you find a company that has a history of making this a priority, remember Emerald Steel Fabricators. 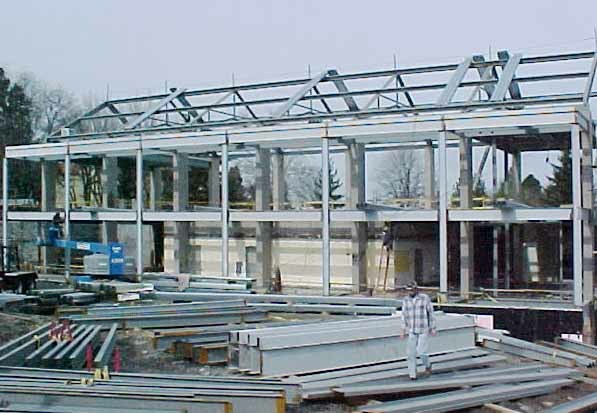 Emerald Steel prides itself in the ability to fabricate and machine even the most complex projects. We are known to our customers as a company that will find solutions and work with them to get the job done right. Our goal is to help reach the customers goal and to be a resource for solving problems along the way. Emerald Steel is a family owned business that has over 35 years of experience as a production and job shop. Our biggest advantage is that we offer a full service machine and fabrication shop that can produce your projects from raw steel to a finished, assembled and painted product, all at one location. We also have a design team that can detail your prints or even draw from scratch, per your plans or specifications. The best sales tool we have is repeat business from our customers. Our customers come back to us over and over again because they know we can help them with their hot rush jobs and R & D projects that have little or no time to be properly detailed and designed. We take care of our customers and it shows.